High-quality Tampa dual diagnosis treatment uses an integrated approach to treat people struggling with addiction at the same time as a co-occurring mental health disorder. Many programs for drug rehabilitation may only focus on providing treatment for drug or alcohol addiction. However, without also treating the co-existing symptoms of the mental health disorder at the same time as the addiction, the person faces a significantly higher risk of relapsing. Seeking a top-notch Tampa dual diagnosis treatment center will provide a specialized form of treatment that works to address both disorders concurrently. Dual diagnosis is the term used when a person has a substance abuse disorder at the same time as symptoms of at least one mental health disorder. According to a national survey conducted by the Substance Abuse and Mental Health Services Authority (SAMHSA), 45% of people with addiction also had a co-occurring disorder. Why Is Tampa Dual Diagnosis Treatment Necessary? Historically, mental health treatment and addiction treatment have been completely separate systems of care. People with a mental illness were often denied the treatment they needed until after they had first completed a program for drug rehab Tampa, FL. It was expected the person would get clean in rehab and then enter into treatment for the mental health disorder. Unfortunately, the reverse was also true, with many people being treated for a mental illness without properly treating the substance abuse disorder. As a result, a large number of people suffering from serious mental health disorders, such as depression, anxiety or panic disorder, obsessive-compulsive disorder, or post-traumatic stress disorder never received proper treatment for substance abuse. By comparison, the integrated models of treatment available at a specialized residential dual diagnosis treatment, such as that offered vt WhiteSands Treatment, takes both conditions into account. Each person is assessed individually to ensure the correct combination of therapies required can be tailored to suit every person’s unique needs. What Happens in Tampa Dual Diagnosis Treatment? A high-quality Tampa dual diagnosis treatment program uses an integrated recovery strategy designed to overcome any adverse side effects of the mental health disorder. When determining the correct medication therapy to treat the mental illness, specialists also take into account how the medication may also affect the substance abuse disorder. Psychotherapeutic medications are not discouraged in a Tampa residential dual diagnosis treatment center. After the recovering person has completed a medically-assisted detox process, therapy and counseling sessions begin working to address both disorders at the same time. 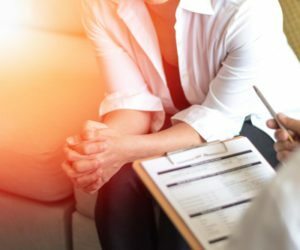 People with dual diagnosis are more likely to use drugs or alcohol to self-medicate improperly treated or undiagnosed symptoms of mental illness. If the symptoms of the mental health disorder are addressed properly, the triggers behind addictive substance use may not be as strong as they previously were. There is also the opportunity to learn healthy coping mechanisms and recovery tools designed to maintain sobriety over the long term. Individual counseling sessions work using a collaborative approach to therapy, aiming to reinforce the recovering person’s sense of self-esteem and self-worth. A range of alternative and holistic therapies are also introduced to provide healthy, natural ways to cope with stress, relieve symptoms of anxiety and reduce depression. Seeking high-quality Tampa dual diagnosis treatment also provides access to specific group support meetings that focus solely on the unique challenges of recovering from addiction at the same time as managing symptoms of a mental health condition. The objective is to provide ongoing support, as well as reducing feelings of isolation even after leaving rehab, that all contribute to maintaining motivation to stay clean and sober.